Please note that this post is longer than what’s typical, but well worth the read. Join Sarah as she delves into a unique and meaningful perspective on suffering, and invite the Spirit to speak to your heart in his way of grace-filled conviction. In the last week, I’ve been overwhelmed. Overwhelmed by the impossibility of my job, impotence in the face of health struggles of my friends and family, horrific flooding in Nebraska and Mozambique, a mass shooting at a mosque in New Zealand, and worry that climate change will mean that my child will one day experience food insecurity. In response, I’ve doubled down on strategies to be more effective during my work day, brainstormed ways for my friends to get relief, checked in on Nebraska colleagues, attended a vigil in solidarity with the local Islamic center, and wondered if my family could learn to grow all our own food. In other words, in the face of incredible suffering past, present, and promised, I’ve tried to play God as best as I can. Ask me how that’s working out for me. Honestly, this week wasn’t really much worse or more intense than others. And my reaction wasn’t much different, either. I’m not particularly proud of it, but this has been the response I’ve developed living in a world that it sometimes feels like God forgot. Abraham's bewilderment is clear. This sensitive human being gazes at a brilliantly structured universe, a splendid piece of art. He is overwhelmed by the grandeur of a sunset and by the miracle of childbirth; he marvels at the roaring ocean waves and at the silent, steady beat of the human heart. The world is indeed a palace. But the palace is in flames. The world is full of bloodshed, injustice and strife. Thugs, abusers, rapists, kidnappers and killers are continuously demolishing the palace, turning our world into an ugly tragic battlefield of untold pain and horror. What happened to the owner of the palace? Abraham cries. Why does G‑d allow man to destroy His world? Why does He permit such a beautiful palace to go up in flames? Could G‑d have made a world only to abandon it? Would anyone build a palace and then desert it? What is the meaning of G‑d's response? Thus began the revolution of Judaism --- humanity's courageous venture to extinguish the flames of immorality and bloodshed and restore the world to the harmonious and sacred palace it was intended to be. Abraham's encounter with G‑d in the presence of a burning palace gave birth to the mission statement of Judaism - to be obsessed with good and horrified by evil. (Midrash Rabbah Bereishit 39:1; as interpreted by Rabbi Jonathan Sacks in Radical Then, Radical Now, Harper Collins, 2000). Is God dead? I don’t think so. I think God is there, being hung on the gallows. There, watching in horror with the other captives. Even there, knocking at the hearts of the soldiers who did unspeakable things in Nazi death camps, and the citizens who allowed the atrocities to take place. In the spiritual drought of frustration, of anger, of helplessness, of overwhelm...perhaps in that weary land of unjustified suffering, perhaps when there is no actual water, God is still with us. It was really difficult for me to think about this season’s blog topic, “Beauty from Suffering.” I don’t think suffering is beautiful. I don’t think human suffering is particularly redemptive, or good. As a person who has walked through the world with many privileges (my nonprofit wages put me in the top .3% of the world’s earners; I’ve never feared my child would be taken from me at a border crossing; and I’m white, educated, physically able, etc. ), I feel really uncomfortable lifting up the benefits of suffering. Suffering isn’t the way things are supposed to be. Suffering isn’t really supposed to be at all, we’ve simply inherited it as a reality thanks to sin, and, as Christians, we believe we’re living with it while God moves to reconcile the whole of Creation back to the Creator. Yet it exists. Suffering exists. We must all deal with suffering in some way. Suffering changes us all in some way. We all react to suffering in some way. The first time I ever tried to talk to fellow Christians about industrialized animal farming was at a Christian music festival at a Baptist church in central Washington. It was blistering hot, and my friend Jason and I were standing under a thin tent in the parking lot, listening to a 13-minute loop of undercover investigation footage play on a portable DVD player while we fielded questions from festival-goers. I don’t remember most of the people I talked to that day. But I’ll never forget the face of one man in particular, or his words. Thank God for that. Fifteen years later, the words still ring in my ears. Thank God for that. It seems astonishingly callous, given the misery endured by those billions (plus trillions of fish); the environmental damage caused by the system; the inhumane conditions industrial farms and slaughterhouses create for the people with few other options but to work there; and the ways industrial animal agriculture contributes to global food and water insecurity. I felt angry then. And the suffering that I advocated against then still exists now, in spades (read the link at the article, we’ll come back to it later). Today, I just feel resigned. This is my life, having this conversation, again and again and again. As a follower of Jesus, I read the Midrash with a different ending. I believe something changes when Jesus dies on the cross, a dark day of Lent that we remember together on Good Friday. I believe Jesus’ death and resurrection, his triumph over the grave, and the Holy Spirit left to us for the “already, but not yet” time...I know that should be enough to slake my thirst for justice, righteousness, beauty, and hope. But I confess, it isn’t always. There are times when I know what I believe, but I believe I have very little faith. As Christians, we know that Jesus has done the work of redemption, that the work of putting out the palace flames isn’t entirely in human hands, but as Jesus-followers, we also know that we are called to take action daily to pick up that cross and follow him. I’m not very good at countering suffering with love. But that’s what Jesus did, that’s what God does, whether or not we can feel it through the layers of sick through which we sometimes encounter the Creator, Sustainer, and Redeemer of the world. Last month, I got the opportunity to spend two days with the veterinarian who blew the whistle on the horrors he witnessed in Nebraska. That New York Times article means he can’t find a job in his field, his marriage ended, his life now is not what he imagined it would be. But he’s finding meaning in new projects with surprising new partners. He’s curious and his sense of humor is still intact. And he’s doing life-saving work. A friend of mine was able to use his financial resources to help a Guatemalan refugee family travel to their sponsors in Colorado. And I don’t often feel like I have much love to give, but we adopted a dog this week who’s been bounced around to too many homes in her short life. She’s a perfect hot mess, just like this life. When I was sixteen, I had a mad crush on a college boy, who I met through a local summer camp. He was very invested in following Jesus, and I was very invested in following him. We started a postal correspondence, because even though Queen Elizabeth II sent her first email in 1976, I am not an early adopter of technology and didn’t get my first account until I was out of high school (and that was to correspond with an entirely different boy, because I didn’t make very forward-thinking choices between the ages of sixteen and twenty two). Following Jesus doesn’t make sense, and I’m not sure it’s supposed to. It doesn’t make any more sense to break from our surrounding culture’s status quo now than it did for Jesus to go up against the occupying powers of Rome, or the religious elite of Israel. It doesn’t make sense to give everything we have to the poor, to turn the other cheek when we’re harmed, to pursue peace at the risk of our own lives. It doesn’t make sense to eat, spend, and live in ways that put ourselves last and others first. In a world of swords and guns and drones, it’s foolish to love our enemies and pray for our persecutors...downright dangerous, even. Come be a fool, as well. Please note that this post is longer than average, but most certainly worth the read. It’s recommended that you carve out a quiet time and space to thoughtfully read over these words while remaining sensitive to what the Spirit says. There are some passages in the Bible that, I have to admit, I just wish weren’t there. They make me uncomfortable, don’t fit with my understanding of God, or are really hard to explain to people who aren’t Christian. These passages are like the weird uncle we love but secretly hope he doesn’t show up to our high school graduation. For me, the story of the miraculous catch is, for me, one of those passages. At first glance, we have a story where the disciples go out and can’t catch any fish at all. Jesus appears, their nets become suddenly overflowing with fish, and then Jesus cooks some of those dead fish as a meal for his friends. The simple truth is: I have wrestled for a long time with the reality that Jesus very likely ate animals and, as appears in this case, also participated in their deaths. God saw me, God knew me, and God spoke to the deepest longings of my heart. What I learned in seminary was that God created an interconnected, flourishing world; that humans are made in the image of this creative, life-generating God. In the beginning, we’re told, God made everything and it was beautiful and no one killed or ate each other. Humans, a part of this creation community, were charged to care for the earth and help it to flourish. We messed a lot of things up through sin, but Jesus the Son of God came to us, took on flesh. The Creator of the universe walked among us as a fully divine, fully human being and brought us glimpses of the Kingdom of God right here on earth. So now we live in the tension of what we call “already-but-not-yet” time. In living, Jesus showed us how to live and in dying and rising, Jesus showed us how to live in hope. The Bible shows us a harmonious ideal and the promise of a reconciled future, but more often than not, harmonious and reconciled seem pretty far off. In other words, I bring a bit of baggage to this passage. But we all, do, right? No one brings a blank slate to their reading of the scripture. And despite my discomfort, I’m drawn to this passage again and again, so let me take a deep breath, release my initial defensive posture, and try to hear what God is saying. It helps me to read the passage a few times, slowly. To imagine myself in the scene. And to read and hear what others have to say about the passage. First: a little about the book of John. Of the four gospels (books of the New Testament that specifically recount Jesus’s birth, life, and death), John was written last, late in the first century. John’s like the clean-up batter of the disciples here. He’s seen what others have written and he’s filling in a few blanks. One of the things we might notice is that our story looks a lot like one in Luke, when Jesus first calls Simon, James, and John. There are some parallels in the two stories: the men have been working all night and haven’t caught anything, but they do what Jesus suggests, they are beset with an abundance. In the Luke account, this miracle leads Simon, James, and John to leave everything and follow Jesus. Perhaps John is telling his reader something about what it looks like to follow Jesus for the long haul, how Jesus makes himself known to us when we don’t have the benefit of seeing him in flesh and blood, day after day after day. This story strikes me as encouragement for an early church wrestling with what it means to be disciples of a teacher they’ve never seen, with whom there was no memory of intimate meals, firsthand encounters, miraculous and exciting events. This passage is about following Jesus on a weekday, in the middle of winter, when your boss is breathing down your neck or your spouse is disappointing you or your kids can’t remember that we don’t leave the house without shoes and you can’t recall the last time you felt anything like a summer camp high. First, Jesus makes himself known while we’re engaging the world together. Compared to another post-resurrection appearance, when Jesus showed himself to just two people on the road to Emmaus, this group is pretty big, with Simon Peter, Thomas, Nathanael, James, John, and two no-namers. There’s an air of “we need to stick together” in the first few verses. In the previous chapter, John writes about Jesus appearing to a group of disciples, but only Thomas the doubter is named. Here’s Thomas again. He believes enough to still want to band with these folks. And I love the way the dialogue reads: “I’m going fishing.” “We will go with you.” I don’t quite know what to make of that. Maybe they’re bored, and this is the best idea they’ve heard that day. I imagine that the incredible feeling of walking and talking with Jesus, followed by the horrifying trial and crucifixion, followed by the dramatic resurrection would make everyday life seem pretty tame. But I think it’s more likely that these seven disciples feel a little uncertain about what they should do now. It probably just feels better to be with people who understand you. So, they stick together and they go about their business. Literally, their business. They’re working together on a common task, towards a common goal, for a common good. Second, Jesus makes himself known when we’re vulnerable. By the dominant perspective of the day, these men had left their lives to follow a homeless radical who was publicly executed. This likely did not strike their communities as being very wise. Now they’ve been working all night and they have nothing to show for it. I cannot imagine how exhausting it would be to be on a fishing boat all night, hungry, dealing with hour after hour after hour of disappointment. This isn’t just physical exhaustion, it’s spiritual and mental fatigue, as well. Simon Peter is naked, which is about as clear a metaphor as you can ask for. But to this weary crew of failures, Jesus appears. Third, Jesus makes himself known to us through his partnership and his provision. In this passage, Jesus calls his disciples “children,” a term of intimacy and deep affection. Jesus, the Creator, isn’t standing apart from the world. He is here. Jesus knows where the fish are and provides instruction, the disciples respond and do the work, then they all enjoy the fruits of their co-labor together. The disciples’ attitudes are important in this story. Even when they’re exhausted, they hold a posture of humility and responsiveness. They actually obey Jesus before they recognize him as Jesus! At first, Jesus is just a dude standing on the shore, hollering instructions. If someone tries to holler at me while I’m tired and hungry, I’m likely to get a bit defensive. But these disciples did what the man on the shore told them to. Humility and a posture of partnership are a second nature to them because they are Jesus-followers. Jesus freely and eagerly partners with us in the restorative work of the Kingdom, but it is up to us to respond to that invitation. Of course, Jesus will also make himself known to full-of-themselves loners who are impatient and a little selfish [raises hand]. But I’m guessing that partnership, patience, persistence, and a posture of humility help make the tasks we undertake together during this “already but not yet” time a little easier. In both the Lucan account and this one, the disciples recognize Jesus only after he’d provided them with something, and not just a little of something, but an abundance. An abundance of provision is usually seen as a blessing, so I feel self-conscious reading about this miracle and wishing it was different. I think to myself, “Did Jesus really have to aid in the death of 153 fish?” Couldn’t Jesus have caused an higher-than-usual yield of figs? Or a particularly abundant olive harvest? Done that whole multiplying loaves thing again? So, a fourth point: it is entirely possible for a vegan Christian to love and learn from this story. When I read this story that includes its account of 153 fish losing their lives, I am reading it through my experience and lens. Even though the modern fishing industry looks nothing like Zebedee and Sons Fishing, Inc., I can’t help but think about the fact that today’s commercial fishing and industrial fish farms are environmental disasters. I read this story knowing that there are approximately six billion fish killed for food every year in the U.S. alone, every one of whom can suffer pain, none of whom are protected by a single animal welfare law, and for whom death will be slow and painful. And I bring to the text a knowledge that there is a modern day slave trade alive and thriving in some international fishing industries. Instead of focusing on the fishing, though, instead of getting hung up on my own biases and mess and missing what God is saying to me through the passage, I’ve tried to take a step back, to quiet my own noise and just listen. Being vulnerable, partnering with others in community, engaging the world even when it’s impossibly hard...why and how we continue to do these things is part of the beautiful mystery of faith. This mysterious faith roots us in and through each other and to God. We know that it’s not following this or any set of rules that will help us grow and thrive. It’s in the mystery that we’re able to go “further up and further in.” Following Jesus’ mystery, letting ourselves tumble head-over-heels into that abyss, can be downright scary. Fully God and fully human? Raised from the dead? The Trinity? A random woman in Oregon or a poor fisherman in Palestine being intimately connected with the sustainer of the universe? The mystery of Jesus is what inspires us to imagine a better way forward. The mystery of Jesus helps us navigate these strange modern waters that look a lot different than the Sea of Tiberius. The mystery of Jesus is the Kingdom of God that’s here, but not fully realized. The mystery of Jesus is God engaged in a long process of reconciling a whole groaning creation back to its Creator, while the world keeps turning and people keep living and dying and moving with and against that reconciling work. Instead of erasing this passage from the Bible, I want to frame it and give it to every animal advocate I know who has struggled to remain part of a church. It’s so hard, so many people don’t “get” us. It’s so tempting to leave, to disengage from this tradition and communities who have failed again and again to see us and love us well. But the miraculous catch is not just a story about catching or eating fish. This is a story of the mystery of a God whose love catalyzed the creation of the whole world, the wonderful mystery of that same God taking on human flesh and living a human life full of its human mess, the mystery of that Jesus dying and then rising again, and that utterly divine person of Christ seeing every one of us, knowing the desires of our heart, standing in front of us, and calling to us. Sarah is the author of Vegangelical: How Caring for Animals Can Shape Your Faith (Zondervan, 2016) and Animals Are Not Ours (No, Really, They’re Not): An Evangelical Animal Liberation Theology (Cascade Books, 2016). She spends her days working for CreatureKind, helping Christians put their faith into action. She lives in Eugene with her husband, son, and animal companions and enjoys action movies, black coffee, the daily crossword, and dreaming of her next international journey. This blog is adapted from a sermon and reprinted with permission. I think this poem by Mary Oliver says a lot about forgiveness. I am a child of God. A creature of the Creator, known and cherished. Rescued from the power of darkness. More than my worst mistake. 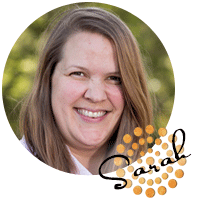 Sarah is the author of Vegangelical: How Caring for Animals Can Shape Your Faith (Zondervan, 2016) and Animals Are Not Ours (No, Really, They’re Not): An Evangelical Animal Liberation Theology (Cascade Books, 2016). She spends her days working for Evangelicals for Social Action and CreatureKind, helping Christians put their faith into action. She lives in Eugene with her husband, son, and animal companions and enjoys action movies, black coffee, the daily crossword, and dreaming of her next international journey. Interruptible | Did Jesus Have to Overcome His Caveperson Instincts, Too? Does this resonate with you? For me, this feels most true in online spaces, when my overall aversion to conflict is protected by the buffer of cyberspace. I read a comment and I feel my face start to warm. My breath quickens. My heart beats faster and my arms begin to tremble, fingers ready to throw down a brilliantly-framed counter argument so devastating and righteous that only the most willfully ignorant would dare disagree. Not a very pretty sight. Or a Christ-like one, most would say. Watching myself engage in this kind of anti-communication and observing it happen all around me (television, social media, the dinner table…) makes me think of other ways that I can barrel through life without allowing something or someone to interrupt my agendas. My vocational to-do list, which reflects what I think needs to be done, on my timeline. A colleague once called himself a “practical atheist,” meaning that he professed Jesus with his lips, but failed then to release control of his day-to-day activities to the Author and Finisher of all. If we believe Jesus is the beginning, and the end, why do we so often resist giving over the middle to him? My rule of life might be summed up as: coffee, work, work, work, gym, sleep (i.e. produce, produce, produce). There are no margins in this life for interruptions, for an unexpected visit from my dad in the middle of the day, an invitation from my brother to go out to breakfast, time to wander out into the front yard to chat with the neighbors while our kids play in the afternoon, a quiet few minutes to simply sit in the love and care of the Creator of the universe who knows every hair on my head. A regular part of Jesus’ life was leaving things undone and going away to pray. Can I follow my Savior into a quiet, solitary place where production isn’t the purpose? And can I change my mind? Can anything interrupt what I believe to be true and right and just? I think it can, and I think Jesus may have modeled this for us, too. Jesus. Fully human, fully divine. God enfleshed, without sin. Jesus is our Lord, Savior, Redeemer, Friend. I’ve always found this passage so profoundly disturbing. I love dogs, but I’m not sure Jesus’ comparison of the Canaanite woman to canines was a positive one. When I think about this passage as it relates to the video above, I start to see it in a different light. What if this passage is Jesus and the Canaanite woman modeling for us what it means to reject de-humanization of others and embrace empathy? How differently the story would read if the Canaanite woman had responded to Jesus’ difficult statement by becoming defensive, angry, or simply walking away? Instead, she generously and winsomely presses into a potential conflict. Jesus allows himself to be physically interrupted by this very different being and by doing so, a moment of transformation is created and the woman’s daughter is healed. Can I be more like the Canaanite woman the next time someone says something hurtful to me? Can I be more like Jesus the next time someone presents me with information that counters my worldview? I pray God grants me the humility to allow for both of these possibilities. I also plan to take a little action. Ages ago, a friend who is wired like me recommended a book called Practicing Compassion as a tool to pause and learn to love myself and others well. I’ll set aside a few minutes a day this week to begin reading it. It’s time I stopped resisting the shift towards slowness for which my heart longs. Let’s start with this short meditation. Sarah Withrow King is the author of Vegangelical: How Caring for Animals Can Shape Your Faith (Zondervan, 2016) and Animals Are Not Ours (No, Really, They’re Not): An Evangelical Animal Liberation Theology (Cascade Books, 2016). She spends her days working for Evangelicals for Social Action and CreatureKind, helping Christians put their faith into action. She lives in Eugene with her husband, son, and animal companions and enjoys action movies, black coffee, the daily crossword, and dreaming of her next international journey. I don’t like people, until I meet them. I’m not proud of this. I want to be a person who loves as Jesus loved, unconditionally and across all kinds of borders. A decade in animal protection—watching videos of humans doing things to animals that will haunt my twilight thoughts until the day I die—taught me to be skeptical of the possibility of goodness in a person, to believe that everyone was capable of horrific violence and sadistic cruelty. Well, that’s what I tell myself. But I think I’ve always been a little too sure of my own right-ness. Social media and internet silos that are designed to show me more of what I like and agree with haven’t helped matters. I eat a bland digital diet of confirmation bias, gobbling up the videos and articles and memes that reinforce my existing opinions. I engage with online friends who echo my own existing views and, too often, quickly dismiss dissenting voices. Through what I consume, I train myself to pass judgement on vast swaths of the human population. Proponents of the political party that I don’t usually vote for? Dumb. Members of a religious order not my own? Probably brainwashed. People who view [fill in the blank hotbutton socio-political issue] differently than I do? They’ll see the light eventually. I really don’t like people…but then I meet them. The generous, happy-go-lucky neighbor who holds views far from my own. He helped my husband identify a fulfilling business opportunity. The encouraging, patient gym coach who wears a different kind of #_____LivesMatter t-shirt than I do. She takes time after class to show me how I can improve my range of motion and strength. The old high school friend who predictably comments on every article about guns I post. He makes some valid points sometimes. Shortly after football player Michael Vick was arrested for dog-fighting, I sat in a room with him for eight hours as he took a course on empathy for animals that I developed. We even did a Bible study together, since he identified as a Christian. I knew the terrible things he had been involved in, but was able to connect on a human level and felt no particular ill-will toward him. Jesus understood the power of human connection. In the Sermon on the Mount, he is recorded as telling his listeners to go so far as to leave the altar if, in the middle of giving their gift, they realized they had an outstanding rift. Reconciliation and right relationship among the community was a higher priority that regulations or religious rituals. In his book, Engaging the Powers, Walter Wink suggests that in telling his followers to turn the other cheek, give our cloak, and walk the second mile, Jesus is discipling us in the way of nonviolent engagement. Turning the other cheek “robs the oppressor of the power to humiliate” and offers a chance at redemption. Giving our cloak shames a system that would allow a wealthy person to literally take the shirt off the back of the poor. And walking a second mile carrying the pack of a Roman soldier, brutal occupiers of Palestine, helps “oppressed people find a way to protest and neutralize an onerous practice.” Each of these methods of nonviolent resistance not only restores dignity to the one who is shamed or oppressed, but also offers an opportunity for the oppressor to regain their own humanity. Ethicists Glen Stassen and David Gushee look at these same texts of Matthew in their book Kingdom Ethics and posit that Jesus’ commands here to turn the other cheek, give a creditor your cloak, and carry the pack a second mile are “transforming initiatives” that help Jesus followers break out of old paradigms. Rather than violent retaliation, or passivity, we’re to take nonviolent action to resist evil. So, where does that leave me, with my propensity for judgement and dismissal, for distance from the people and situations that make me angry or uncomfortable simply out of my own sense of self-righteousness? How do I resist the temptation to surround myself with the people and ideas that reinforce my ideas of justice? How do I even begin to break down these border walls between me and the people that I am so eager to “other”? I am fortunate to work with people who are smarter and more compassionate than I am. One of them helped start The People’s Supper, a way of connecting across difference over a shared meal. Another helps lead tours to important Civil Rights historical sites, to help equip the church to live into our biblical call to be ambassadors of reconciliation. I learn a lot from them, mostly by listening. I need to do a lot of listening. And I’m spending less time online and more time with flesh-and-blood people. Because I love everyone, once I meet them. Ordinary Time. That’s what the Church calls these long weeks after Epiphany (the last hurrah of Christmas) and before Lent. The Savior has arrived, the Creator of the whole world is among us, incarnated in flesh and blood and bone…so now what? What are we to make of that space in between? Do we sit back and wait, or is there something deeply compelling and convicting about Ordinary Time, which is really not so “ordinary” at all? In Luke 2:22-32, we read about Jesus’ presentation at the Temple, which took place forty days after his birth. Deeply faithful, and poor, Jesus’ parents bring him and two small birds to present to the priest. At the temple, they encounter Simeon, who the gospel writer describes as “righteous and devout…waiting for the consolation of Israel.” The Holy Spirit had revealed to Simeon that he would not die until he had seen the promised Messiah. Later in his life and ministry, Jesus would encounter extreme resistance from the religious establishment. This God enfleshed didn’t look like the Savior expected by Israel. Instead of a mighty Messiah who would emancipate the Jewish people from the Roman occupation, Jesus turned out to be a wandering teacher who broke the Law, consorted with rejects on the far margins of society, and disavowed the long-held acceptability of violent retaliation. We get a glimpse of what the radical life and ministry of Jesus will hold in Mary’s spontaneous song of praise upon her visit to Elizabeth. Her son will be the one who scatters the proud, brings down the powerful from their thrones, lifts up the lowly, fills the hungry with good things, and sends the rich away empty (Luke 1:46-55). I wonder if she wasn’t quite the naïve farm girl we often portray her to be. Nothing we can do will bring about the Kingdom of God. But perhaps one great opportunity of Ordinary Time is to sit with the fantastic reality that God took on human flesh in the person of Jesus Christ and showed us how to live in this brand new world…our world…a world into which the Kingdom of God has broken, but has not yet been fully realized. And what does that living look like? Humility. Lament. Fidelity. Justice. Mercy. Peacemaking. Turning the other cheek. The pursuit of righteousness. Loving our enemies. Relationships before ritual. Giving to everyone who begs from you. And on, and on. Because the world has begun to turn.